I never heard about Jennifer Boylan before picking up this book. My Overdrive app recommended this book because I have been on a non-fiction kick this year. I was pretty intrigued with the title and I like learning about diverse issues. So I decided to read it. I immediately took a liking to Jennifer Boylan and dig her self-deprecating humor. I didn't realize that she was well-known in her community and was even spoofed on SNL. GO JENNIFER. I really wish I could have taken one of her classes at her college. I feel I would have truly enjoyed her as a professor. What I found the most surprising about this read was how much I learned about myself being a woman and my own feminity. I feel Jennifer did a really good job describing her transition and how the highs and lows from it. I would recommend this book for others to read. 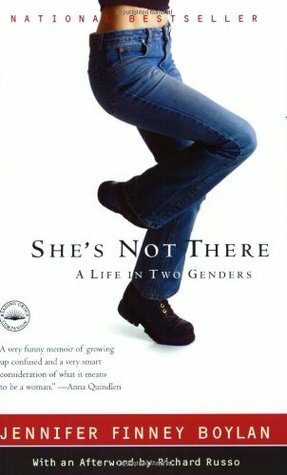 Sign into Goodreads to see if any of your friends have read She's Not There. 70.0% "what does it mean to be a woman?"